Larry's RV Sales and Service: North Platte, Nebraska - Complete RV Center... for sale, parts and service. View our current inventory! 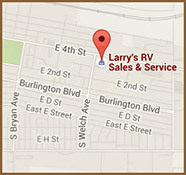 Larry's RV has been in business for over 34 years, establishing itself as your complete and trusted RV dealer. The helpful and knowledgeable sales team at Larry’s RV will take the time to help you choose the RV that fits your lifestyle and your budget, be it new or pre-owned. The expert service department at Larry’s RV, along with the large parts and accessories store, guarantees you service and options long after the sale. Together, the staff at Larry’s RV strives to make your camping experience convenient, enjoyable and hassle-free! Copyright © 2001 - 2015 Larry's RV Sales & Service. All rights reserved. 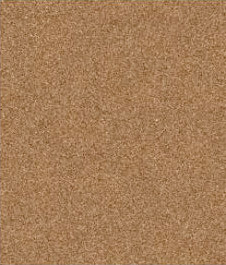 website design Art Cottage, Inc.